The total market size for organic packaged food and beverages in Colombia in 2015 is US$10.2mn. The country is the 43rd largest market in the world by value. Per capita spending on organic packaged food and beverages in Colombia is US$0.20, which ranks as the 41st largest spending per capita in the world. The largest company by sales in organic packaged food and beverages is Federación Nacional de Cafeteros de Colombia (Procafecol), which maintains 82.7% of total sales, followed by Toscafé OMA SA and Casino Guichard-Perrachon SA. Organic packaged food and beverages in Colombia will see strong year-on-year growth of close to 15% in 2015. 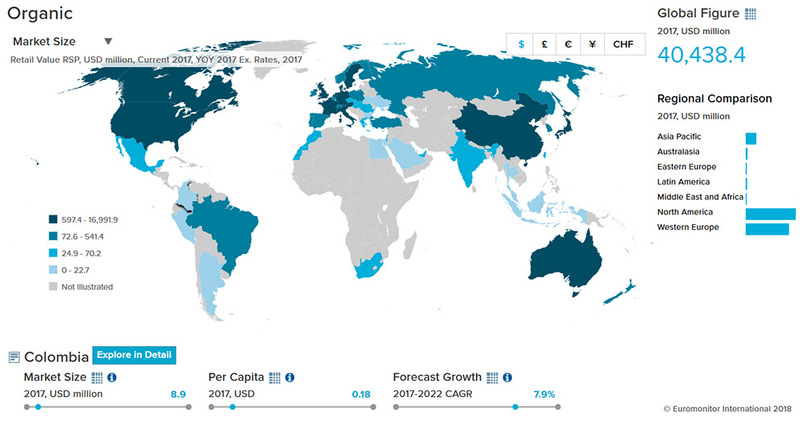 This is much higher than the rest of the Latin America region, which will experience approximately 4% year-on-year growth in 2015. Colombia maintains a market size for organic packaged food and beverages of US$10.2mn in 2015, which is less than 0.1% of global category sales. Within the Latin America region, Mexico, Brazil, and Argentina all surpass Colombia in total value sales of organic packaged foods and beverages. Colombia will experience strong forecast growth of sales of organic packaged food and beverages, at 13.2% from 2015–2020. Other than coffee, organic food and beverages are almost non-existent in Columbia. Health and wellness products are gradually expanding beyond the high-income consumer niche to include middle-income consumers. The organic products market remains undeveloped in Colombia, made up only of organic coffee, which is available in fresh ground and instant formats. Organic coffee is seeing annual value growth due to its orientation towards high-income consumers. Availability via traditional channels remains very limited. Federación Nacional de Cafeteros de Colombia (Procafecol) dominates the organic coffee market, controlling around 85% of national sales due to the strong positioning of the Juan Valdez brand. 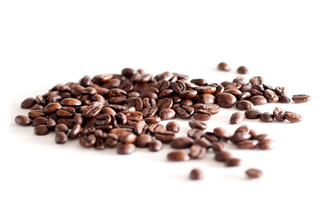 Organic coffee is positioned as a premium product in competition with lower-priced conventional coffee. Organic coffee will continue to grow, driven by the development of the premium segment, but prices will remain too high for most consumers. Organic beverages are expected to expand beyond coffee to 100% juices. The potential introduction of organic tea is also a threat to organic coffee, since tea is viewed by some consumers as a good source of energy with less caffeine. Nevertheless, the higher penetration of coffee will allow for a strong degree of consumer loyalty, especially in the short and medium term. Historically purchased almost exclusively by high-income consumers, health and wellness products will gradually expand into the middle market. Functional products are gaining importance in health and wellness due to the fact that consumers are more informed about solutions for specific health needs. The economy should steadily improve over the next several years, with growth of real GDP reaching 3.7% by the end of the decade. Support will come from the government’s infrastructure investment program, improvements in the business climate, and a gradual rise in world oil prices. 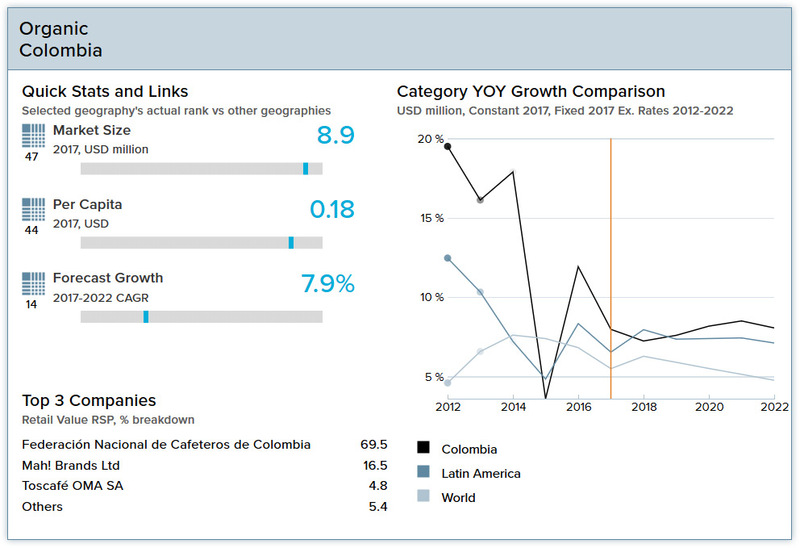 Colombia’s informal economy has been estimated at between 20% and 40% of GDP. The expansion of the country’s middle class is having a marked impact on spending patterns, although income inequality in Colombia remains extremely high. Colombia’s population was 49.5 million in 2015, and will reach 57.2 million by 2030. The fertility rate was 2.2 births per female in 2015, and is forecast to be 1.9 births per female in 2030. Positive reforms to the country’s business climate, coupled with lower levels of political violence, are expected to support growth of income and expenditure in the long term. Colombia’s income inequality ranks amongst the highest in the world. Article composed with one of the best online HTML editing tools. Please purchase a htmlg.com membership to stop adding links to the edited documents. "Regulation for primary production, processing, packaging, labeling, storage, certification, import, marketing of Organic Agricultural Products" includes additional details. Be shipped in appropriate packaging/containers that prevent substitution of the contents, and to identify the exporter and marks and numbers to identify the lot with the inspection certificate. Be stored separately from non-organic agricultural products. Importers shall provide the Ministry of Agriculture and Rural Development any information it requires, and shall allow Ministry representatives access for inspection of facilities and licenses. The Ministry of Agriculture and Rural Development maintains a list of accredited certifiers.